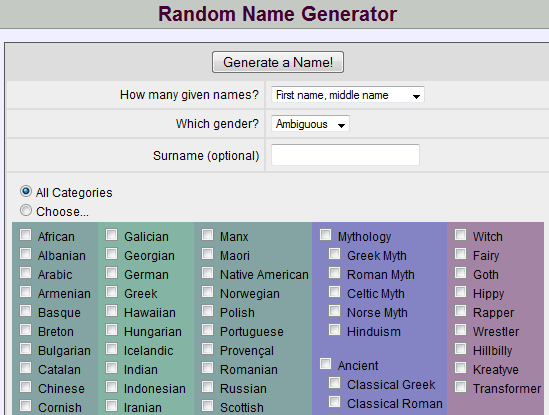 Fantasy Name Generator: another easy to use name picker that can create all kinds of names (people, location, …). 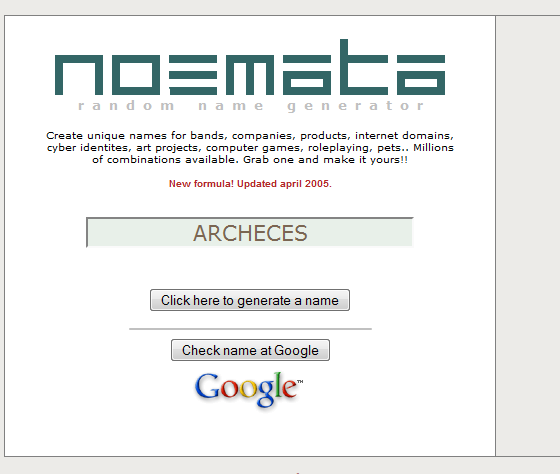 Worth playing with if you still have not found a name after using the above tools. 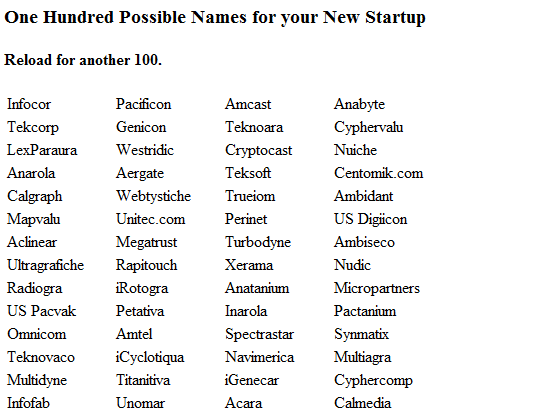 Company Names: does not give you too many options other than a list of randomly generated names for your start-up. All you have to do is go through the list. 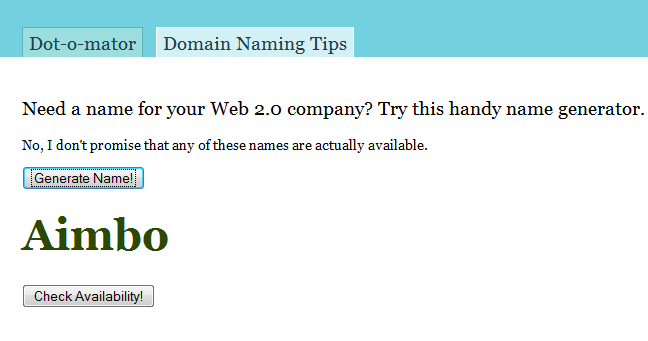 The above name pickers can help you find a more decent name for your startup. 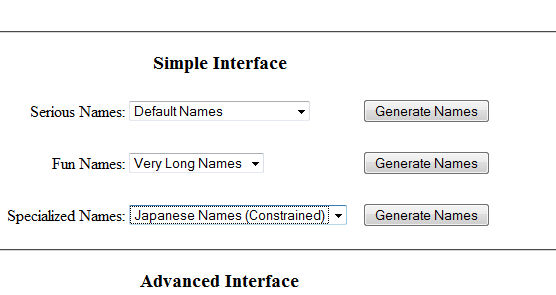 But don’t go for some fancy name. You just want a name that is short, memorable, and brandable. You also want to own your domain too. The above tools can save you some time. The rest is up to you.